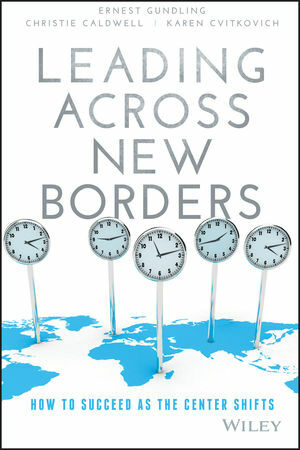 Leading Across Borders is the leadership guide for the new business environment. The world's economic center of gravity is shifting at a rapid pace – huge emerging economies have already emerged. As businesses operate in an increasingly global context, the most successful leaders are able to see through the eyes of others and to hear the voices of customers and colleagues from around the world. They build their own personal networks, navigate differences, and work effectively across new borders – both the physical borders between countries and the limits of old leadership paradigms. This book features direct input from people in critical roles around the world, advice based on deep practical experience, and new data that identifies the distinctive challenges of leading in an environment becoming more thoroughly interdependent every day. There is valuable advice for anyone taking on a global leadership role. You'll find strategies and tools for working across cultures, leading inclusively, running a matrix team, innovating, integrating an acquisition, and making tough ethical choices. Each chapter challenges established leadership models and shares hard-won expertise in dealing effectively with a changing reality that includes both fast-growth and slow-growth markets. You will learn how to serve more numerous stakeholders and to achieve your goals in a complex organizational structure without having direct lines of authority. This insightful guide helps you work more effectively at the self, team, and organizational levels, so you can get things done and grow your business. The increasing importance of China, India, Brazil, Indonesia, Turkey, and other developing economies has opened the world of business leadership far beyond our own borders. This book gives you a framework for coordinating it all, and being the leader your organization needs. ERNEST GUNDLING is co-founder and managing partner of Aperian Global. He assists clients in creating strategic global approaches to leadership development, organizational change, and relationships with critical business partners. Dr. Gundling works with multicultural executive teams, coaches executives with global responsibilities, and is a sought-after keynote speaker. He also teaches at the Haas School of Business at the University of California, Berkeley, and has authored four previous books as well as numerous other publications. Dr. Gundling holds a BA from Stanford University and MA and PhD degrees from the University of Chicago. CHRISTIE CALDWELL is the Director of Consulting for Asia Pacific at Aperian Global. Leveraging her business experience in the U.S., Europe, the Middle East, and Asia Pacific, she drives thought leadership and innovative approaches to support clients’ global talent development needs. Ms. Caldwell conducts research and writes regularly on topics related to globalization, with particular focus on leadership development for high potentials in fast-growth markets. Originally from the United States, she has spent over 14 years as an expatriate in Asia and Europe. She holds an MA degree from Harvard University and also completed an MA program in Chinese Studies at Johns Hopkins School of Advanced International Studies in Nanjing, China. KAREN CVITKOVICH is a Senior Consultant with Aperian Global and assists clients in the areas of global leadership, teams, negotiations, diversity & inclusion, change management, and post-acquisition integration. Ms. Cvitkovich has worked in more than thirty countries throughout Europe, Asia, the Middle East, and Latin America. She holds a BBA in Business from the University of Massachusetts, and an MS from Lesley University in Training and Organizational Development. In addition, she has gone through CTI Coach Training and a certificate program in Neuro Leadership, and is certified on various psychometrics.